We keep on hearing news across the country about animals being treated inhumanely. Though we support the animals somehow we fail to establish guarded a place for them. So if your support for pets is cocksure and you intend to open a pet shop in India, then this article is for you. As here, we will be discussing the registration process and procedure to be followed to own a pet shop in India. Pet shop rules are legalized and are fabricated in accordance with section 38 of Prevention of Cruelty to Animals Act, 1960. 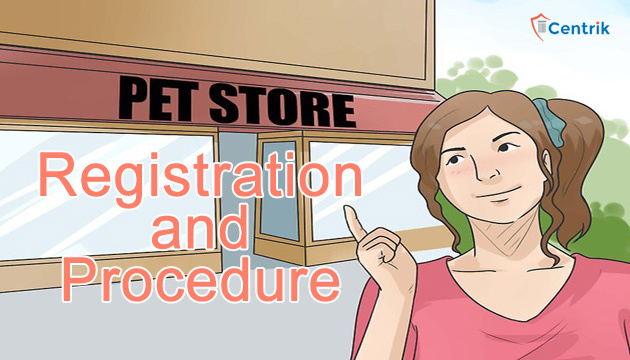 As per section 3 of Prevention of Cruelty to Animals (Pet Shop) Rules, 2016 there is a prohibition on the operation of a pet shop or any other commercial establishment dealing with same without a registration certificate. The underlying behind the said rule is to not only to obtain a registration certificate but also a blatant display of the certificate in the shop. Q. What is the eligibility criteria to own a pet shop? Individual must be above 18 years. Must not be disqualified by law from entering into a contract. In case of other than an individual which refers to association/corporation/company, such association/corporation/company shall be duly registered with the law. For registration, one must file an application in the form prescribed under schedule-I along with a non-refundable fee of Rs 5,000/- has to be made to the state board. Q. What is the procedure to follow to obtain the license? A. In order to obtain a license for a pet shop, one must file an application to the Animal Welfare Board of India, in the format prescribed in schedule I. The inspection report submitted by the inspection team needs to be duly signed by the inspector and accompanied by the application. True copy needs to be sent to Animal Welfare Board of India whereas the original is too retained by the local authority. An establishment that undertakes tasks for the betterment of animals and not engages in commercial animal trade. I am planning to start pet food shop by opening retail shop , can u please let me know what would be the approximate investment required in bangalore. Our expert would call you. I am planning to start pet food shop by opening retail shop , can u please let me know what would be the approximate investment required in Agra up. Vishal, the investment shall be depending upon the objective, size and others. Hi there..this is trilok from ahmedabad.. I want to start trading of dogs.. I am not interested to open any pet shop but will buy from some of my good friends who are already licenced breeders, and intending to sell my customers.. now can you please advice which licence or registration do I need ?? I want to open the complete pet shop and aquarium fish shop in kerala plz tell me how much money? Hi…. my name is Smita & I live in Andheri West in Mumbai. I want to open a pet store in this area. Can I know a ball park figure as far as the investment that will go into it pls.